The Spring Fling Horse Show is Saturday, May 20 beginning at 9 a.m. at the Agricultural Hall fairgrounds. This is a hunter/jumper horse show, with something for everyone. There will also be a trail class and games. For riders, show attire is not required but everyone must wear helmets and boots. Riders can use western or English tack. All leadline classes are free, sponsored by Martha’s Vineyard Savings Bank. The Food Truck will be on site too, helping to keep both riders and spectators fed. Entry forms can be found at SBS, horse barns across the Island, mvhorsecouncil.com, or 774-521-5621. 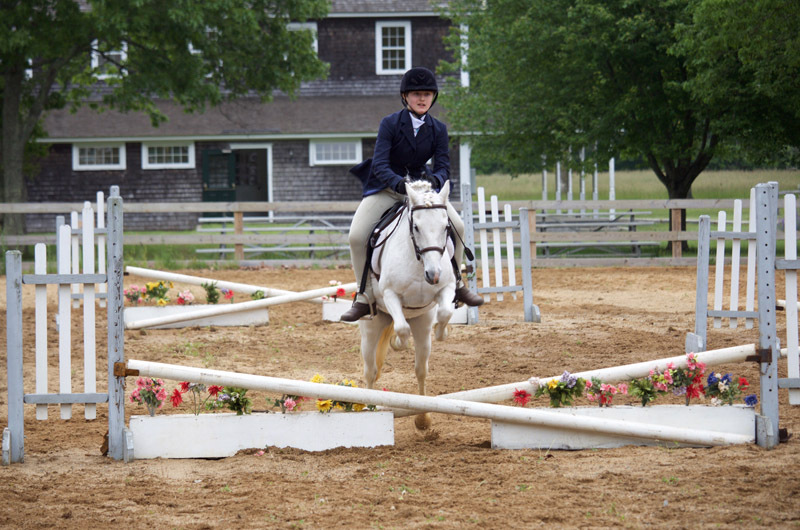 The Martha’s Vineyard Horse Council will host an open house on Sunday, May 7 at Woodbe Farm. Thirty-three riders (and 25 horses) came out June 5 for the Horse Council’s Spring Fling horse show.